29 CFR 401.9 - Code of Federal Regulations relating to labor organization. 29 CFR 401.15 - Code of Federal Regulations relating to labor union member or member in good standing. 9 to 5 National Association of Working Women - Strengthens women's ability to work for economic justice. Founded in 1973, 9to5 has activists in more than 200 cities and members in every state. A. Philip Randolph Institute (APRI) - Fights for racial equality and economic justice. Works with black trade unionists, the people best suited to serve as a bridge between labor and the black community. AFL-CIO: Jobs and the Economy - Workers' rights, safety and health at work, unemployment help, working women, minimuum wage, jobs, living wage, overtime pay issues discussed. Also see About AFL-CIO, Corporate Watch, and Issues. Alliance of Progressive Labor (APL) - Phillipines organization committed to the advancement of social movement unionism - a strategy directed at recognizing, organizing and mobilizing all types of workers and unions for engagements in different arenas of struggle. Alliance for Workers' Liberty - For international working class solidarity and socialism. American Federation of State, County and Municipal Employees (AFSCME) - Over 1.3 million public service and health care workers, aggressive staff, effective programs, and outstanding resources for organizing, political action, and representing members in the workplace. American Labor Museum - Advances public understanding of the history of work, workers and the labor movement throughout the world, with special attention to the ethnicity and immigrant experience of American workers. Location: 83 Norwood Street, Haledon, New Jersey. American Rights at Work - Investigates and exposes workers' rights abuses and the inadequacy of U.S. labor law. Anti-Slavery International - Coordinates publicity campaigns to pressure governments to stop degrading and dangerous child labour: children trafficked in West Africa; bonded child labour in Pakistan; boys stranded on fishing platforms in Indonesia; children used as camel jockeys in the United Arab Emirates; and girls working as domestics in the Philippines. Apollo Alliance - A broad coalition within the labor, environmental, business, urban, and faith communities in support of good jobs and energy independence. Arise Chicago - Building partnerships between faith communities and workers to figt workplace injustice through education, organizing and advocacy for public policy changes. Association for Union Democracy - A a pro-labor, non-profit organization dedicated to advancing the principles and practices of democratic trade unionism in the North American labor movement. Provides organizing, educational, and legal assistance to union members fighting for greater control of their unions. Behind The Label - A multimedia news website covering the stories of people fighting for fundamental human and labor rights against the goliath global clothing industry. Boycott Workfare - A UK-wide campaign to end forced unpaid work for people who receive welfare. Building and Construction Trades Department, AFL-CIO - Coordinates activity and provides resources to 15 affiliated trades unions in the construction industry. It has 386 state, local and provincial councils in the United States and Canada. Created in 1908, the BCTD has helped its 15 affiliated building trades unions to make job sites safer, deliver apprenticeship and journey-level training, organize new workers, support legislation that affects working families, and assist in securing improved wages, hours and working conditions through collective bargaining. Bureau of National Affairs (BNA) Labor and Employment Law News and Analysis - BNA produces more than 200 news and information services, including five daily publications. California Department of Industrial Relations - Califronia agency established to improve working conditions for California's wage earners, and to advance opportunities for profitable employment in California. Campaign for Labor Rights (CLR) - An organization that works to inform and mobilize grassroots activists in solidarity with major, international anti-sweatshop struggles. CLR has been called the "grassroots mobilizing department" of the anti-sweatshop movement. Coordinating with over 500 communities in the U.S. as well as other local, national, and international anti-sweatshop groups, CLR attacks the root causes of poverty, oppression, and global economic disparity. Center for Economic and Policy Research (CEPR): Unions - Reports, blogs, op-eds and columns, events, and testimony dealing with union issues. Center for Labor Markets and Policy (CLMP) - An applied research, teaching and technical consulting unit within Drexel University that is focused on a variety of human resource development issues and their connections to the labor market. CLMP deploys its expertise in human resource development economics and labor market analysis to support improvements in human resource development planning, programming, evaluation and finance at local, state, regional, and national levels. Center for Labor Renewal - An ever expanding circle of activists and ideas dedicated to combining different threads of working class organizing and activism for the transformation and renewal of labor as a progressive social movement in this country and internationally. Chartered Institute of Personnel and Development (CIPD-UK) - Championing better work and working lives by setting professional standards for HR and people development in UK. Child Labor Coalition - A national network for the exchange of information about child labor. China Labor Watch (CLW) - Devoted to improving Chinese workers' working and living conditions, defending their rights, upholding international labor and human rights standards, and preparing for the future of independent labor union organizations that are truly representational of the workers they represent. Civil Service Reform Act of 1978 (CSRA) - Standards of conduct compliance assistance from the U.S. Department of Labor. CSRA applies to labor organizations which represents emloyees in most agencies of the executive branch of the Federal Government. The regulations implementing the standards of conduct provisions of the CSRA incorporate many Labor-Management Reporting and Disclosure Act (LMRDA) provisions, including those related to labor organization reporting requirements. Clarence Thomas - Oakland, California-based labor unionist and activist. He is a third-generation longshoreman. Clean Clothes Campaign - Working to improve working conditions in the garment industry worldwide. Co-op Law - A collaborative legal resource library created by the Sustainable Economies Law Center (SELC) and the Green-Collar Communities Clinic (GC3). Coalition of Labor Unon Women (CLUW) - National coalition unifying union women in a viable organization to determine common problems and concerns and to develop action programs within the framework of their unions. Speaking out for child care, pay equity, labor law reform, national health care and reproductive freedom. Collective Bargaining - An overview from FindLaw. Collective Bargaining - From AFL-CIO. Community and Postal Workers United - Supportin United States Postal Service and fighting against its privatization. Community-Wealth - Brings together information about a broad range of community wealth building activity. A community wealth strategy aims at improving the ability of communities and individuals to increase asset ownership, anchor jobs locally, expand the provision of public services, and ensure local economic stability. Cooperation Texas - An Austin, Texas-based organization committed to the development of ecologically sustainable worker cooperatives. Corporate Rap Sheets - Detailed dossiers on some of the worst corporate actors. Dirt Diggers Digest - A weekly blog on corporate misconduct and how to research it. Guide to Strategic Corporate Research - An exhaustive guide to online sources. Violation Tracker - A wide-ranging database on corporate misconduct. Democracy at Work (d@w) - Creates and distributes media aimed at demonstrating why, and how, democratizing the workplace is a viable solution for a new and better economic system. d@w advocates for workers self-directed enterprises (WSDEs) as a key part of moving forward from the current model of capitalism to a new and better economy. Based on the work of Professor Richard D. Wolff, d@w strives to advocate for alternative solutions to the current model of capitalism. Department for Professional Employees (DPE) [AFL-CIO] - Currently represents 25 unions comprising more than four million white collar workers. The Department was chartered by the AFL-CIO in 1977, in recognition of the dramatic rise in professional and technical employees among union members. Also see DPE News. Department of Labor (DOL) - Workers' wages, health and safety, employment and pension rights; equal employment opportunity; job training, unemployment insurance and workers' compensation programs; collective bargaining; collection, analyzsis and publishing of labor and economic statistics. Why are workers being forced to give up pensions and health care to pay off the bondholders and banks? Who stands to benefit from the actions of Orr and the bankruptcy court, including the sell-off of art at the DIA and other assets? What is the source of the crisis in Detroit? How was Detroit transformed from the center of the world auto industry into the poorest large city in the United States, plagued by mass unemployment and the decimation of its public schools and transportation system? What measures must be taken to defend jobs, pensions, health care, the cultural heritage of the city and all the rights of the working class? Division of Labor Standards Enforcement (DLSE), California - Provides a wide variety of services to the public, from wage claim adjudication and discrimination complaint investigations to enforcement of California's labor laws and Industrial Welfare Commission orders. Division of Workers' Compensation, Title 8 Regulations, California - Injured worker information. Employee Free Choice Act (EFCA) - Llegislation in the United States which aims to "amend the National Labor Relations Act to establish an easier system to enable employees to form, join, or assist labor organizations, to provide for mandatory injunctions for unfair labor practices during organizing efforts, and for other purposes." Under current U.S. labor law, the National Labor Relations Board will certify a union as the exclusive representative of bargaining unit employees by card check process or secret ballot election, which is held if more than 30% of employees in a bargaining unit sign statements asking for representation by a union. If enacted, EFCA would require the NLRB to certify a bargaining representative without directing an election if a majority of the bargaining unit employees signed cards, the card check process. On March 1, 2007, the House of Representatives passed the act by a vote of 241 to 185. The Senate on June 26, 2007 voted 51 to 48 on a motion to invoke cloture on the motion to proceed to consider the bill. The bill failed to pass during the 110th United States Congress because of the 60 votes required to enforce cloture, which may be possible to obtain in the 111th United States Congress. See full text of bill here. Essential Guide to Workplace Investigations - By Lisa Guerin, J.D. Published by Nolo Press. European Trade Union Institute Labourline - European labour information resources. European Trade Union Institute (ETUI) - An initiative of the European Trade Union Confederation that forms a bridge between the trade union movement and the academic world. European Works Council - Around 10 million workers across the EU have the right to information and consultation on company decisions at European level through their EWCs. The Works Council Directive (94/45/EC) applies to companies with 1,000 or more employees, including at least 150 in two or more Member States. Of these, 841 have EWCs in operation, covering around 60% of workers in the EU. But there is still some way to go before the legislation meets its full objectives, and the ETUC is pressing for it to be improved and updated. On 20 February 2008, the European Commission launched the second phase of consultation. The process is still ongoing. Also see the EWC Database. The database contains the details and texts of agreements that have established European Works Councils, as well as agreements negotiated by EWCs on specific topics (substantive agreements). European Work's Council Directives - Social Dialogue and Employee Participation: Council Directive 94/45/EC of 22 September 1994 on the establishment of a European Works Council. The Directive imposes a works council or an information and consultation procedure in Community-scale undertakings and Community-scale groups of undertakings on the basis of an agreement to be reached by a special negotiating body. It also defines the procedures for the operation of this body. In the cases identified by the Directive in which an agreement cannot be reached, it stipulates the provisions which subsidiary requirements to be established by the Member States must satisfy. Also see: Directive 2002/14/EC of the European Parliament and of the Council of 11 March 2002 establishing a general framework for informing and consulting employees in the European Community. And here. Fair Food Standards Council (FFSC) - oversees implementation of the Fair Food Program, a unique farmworker- and consumer-driven initiative consisting of a: 1) Wage increase supported by a price premium paid by corporate purchasers of Florida tomatoes; and 2) human-rights-based Code of Conduct, applicable throughout the Florida tomato industry. The Fair Food Program emerged from the Coalition of Immokalee Workers successful Campaign for Fair Food. Fair Labor Association (FLA) - A collaborative effort of socially responsible companies, colleges and universities, and civil society organizations to improve working conditions in factories around the world. The FLA has developed a Workplace Code of Conduct, based on ILO standards, and created a practical monitoring, remediation and verification process to achieve those standards. The jury's still out on its effectiveness. Complaints of industry ties, lax standards, apologetics. Family and Medical Leave Act (FMLA) - FMLA entitles eligible employees to take up to 12 weeks of unpaid, job-protected leave in a 12-month period for specified family and medical reasons. The employer may elect to use the calendar year, a fixed 12-month leave or fiscal year, or a 12-month period prior to or after the commencement of leave as the 12-month period. Federal Labor Relations Authority - An independent agency responsible for administering the labor-management relations program for Federal employees world-wide, approximately 1.1 million of whom are exclusively represented in 2,200 bargaining units. Its mission is to promote stable and constructive labor-management relations that contribute to an efficient and effective government. Federal Mediation and Conciliation Service (FMCS) - Promotes stable labor-management relations through dispute mediation, arbitration services and labor-management grants. Fight for Fifteen - Workers Organizing Committee of Chicago fights for just compensation and dignified treatment [the least] that all hardworking Americans deserve: a $15 per hour wage. "Each year, our labor brings over $4 Billion into the stores and restaurants of downtown Chicago alone, but almost all of these profits go to make rich executives and investors even richer, while we struggle to provide ourselves and our families with basic necessities. We believe that people who work hard for a living should make enough to support themselves, their families and their neighborhoods, and should be treated with dignity and respect. We believe this will not only improve our lives but create jobs and make Chicago's economy Stronger. This is why we are coming together and coming out of the shadows into the streets ready to fight for respect and wages we deserve!" Freelancers Union - A national nonprofit membership organization that promotes the interests of people who work independently - a diverse group that now makes up nearly 30% of the American labor force. Global Exchange - Global Exchange is a non-profit research, education, and action center dedicated to promoting people-to-people ties around the world. Global Labor Institute (GLI) - The Cornell Global Labor Institute was established in 2005 to work with trade unions in the U.S. and internationally to help them and their civil society partners develop solutions to major social, economic and environmental challenges. Global March Against Child Labour - A movement borne out of hope and the need felt by thousands of people across the globe - the desire to set children free from servitude. Global Unions - Website jointly owned and managed by a number of international trade union organisations. Global Unions comprises: (1) The International Confederation of Free Trade Unions (ICFTU), which represents most national trade union centres. Most individual unions relate to the ICFTU through their national union centre; (2) The ten Global Union Federations (GUFs), the international representatives of unions organising in specific industry sectors or occupational groups (EI, ICEM, IFJ, ITGLWF, PSI, ITF, IFBWW, IMF, IUF, & UNI); (3) Trade Union Advisory Committee to the OECD. Glossary of Labor & Legal Terminology - Maintained by the University of Hawai'i, Center for Labor Education and Research. Goodweave - A global nonprofit organization working to end child labor and offer educational opportunities for children in India, Nepal and Pakistan. Grassroots Leadership - A multi-racial team of organizers based in Charlotte, North Carolina. Its goal is to help Southern community and labor organizations think critically, work strategically and gain power to achieve justice and equity. Provides a range of support to Southern organizations and labor unions including public policy development, community education, research, direct action campaigns, coalition building and crisis intervention. Gulf Labor Artist Coalition - A coalition of international artists working to ensure that migrant worker rights are protected during the construction of museums on Saadiyat Island in Abu Dhabi. Hans Bockler Foundation - Deals with co-determination, research linked to the world of work and the support of students on behalf of the DGB, the Confederation of German Trade Unions. Co-determination in Germany defines a set of rights that give employees the possibility of actively participating in the shaping of their working environment. This includes legally stipulated Co-determination rights, company internal agreements devised in conjunction with union contracts as well as informal determination possibilities that have arisen from Co-determination practice. 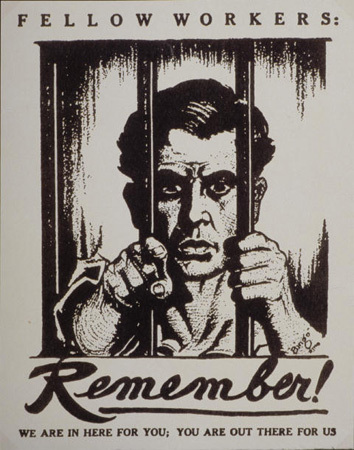 Harry Bridges Center for Labor Studies (Seattle, Washington) - The Center supports research, teaching and community outreach, all focusing on labor's contribution to society, and organizes and gives visibility to the activities supported by the Harry Bridges Chair in Labor Studies. Harry Bridges Institute - Founded in 1993 to meet a pressing need to educate a new generation of workers about the rich history of the labor movement; to demonstrate the benefit of union membership to the working community - and to showcase and celebrate the contributions of labor leaders as well as rank-and-file trade unionists, not only in the founding of unions but in the continued struggle for workers' rights. Harry Bridges Project - The project is dedicated to introducing the public to the life and ideas of Harry Bridges and his impact on our lives today. Bridges was an extraordinary labor leader and social visionary whose life and work encompassed all of the important issues and events of his day, including immigration, depression-era policies, red-scares, McCarthyism, the cold-war and labor issues. His story provides a springboard into understanding these times and realizing their significance today, as we face parallel issues of globalization, the growing gap between rich and poor, increasing governmental surveillance and the war on terror. His life inspires people to come together in their communities, discover their own history and take charge of their own lives by engaging in dialogue and debate about these issues in order to move beyond the fears and limitations they can create. High Pay Centre - An independent non-party think tank focused on pay at the top of the income scale. We argue that growing differences in pay between high and low earners are neither fair nor proportionate, and campaign to reduce the income gap between the super rich and the rest of the population. ILR - Founded in 1945 as the New York State School of Industrial and Labor Relations. As the world of work evolves, the school's focus broadens to keep pace with that change. Today, the school is becoming better known simply as ILR. ILR's mission is to prepare leaders, inform national and international employment and labor policy, and improve working lives. The school offers undergraduate and graduate education as well as career-long learning for professionals. Industrial Workers of the World (IWW) - A member-run union for all workers, a union dedicated to organizing on the job, in our industries and in our communities. IWW members are organizing to win better conditions today and build a world with economic democracy tomorrow. Institute for Global Labour and Human Rights - Mission is to educate and actively engage the U.S. public on human and labor rights abuses by corporations and defend the human rights of workers in the global economy. Helping to coalesce a new and diverse coalition that includes religious, labor, women's, student, civil rights, solidarity, policy and grassroots groups to catalyze popular campaigns based on our original research to promote worker rights and pressure companies to end human and labor abuses. Institute for Research on Labor and Employment (IRLE) - Supports multidisciplinary research about labor and employment relations at University of California, Berkeley. Also see extensive listing of IRLE Journals, Working Papers, and Unit Publications. International Alliance in Support of Workers in Iran (IASWI) - Support workers' struggle in Iran for better working conditions and living standards. Advocate for workers' movement demands in Iran, including the right to organize free and independent labour organizations and the right to strike. International Labor Rights Forum (ILRF) - Aadvocacy organization dedicated to achieving just and humane treatment for workers worldwide. International Labour Organization (ILO) - The ILO is the UN specialized agency which seeks the promotion of social justice and internationally recognized human and labour rights. The ILO formulates international labour standards in the form of conventions and recommendations setting minimum standards of basic labour rights: freedom of association, the right to organize, collective bargaining, abolition of forced labour, equality of opportunity and treatment, and other standards regulating conditions across the entire spectrum of work related issues. Also see Conventions Adopted by the International Labour Conference. International Labour Organization Sectoral Activites (SECTOR) - SECTOR's principal activity is the holding of international meetings that provide a forum for discussion and an exchange of views on current issues in the sector concerned. International Labour Organization (ILO) Declaration of Fundamental Principles and Rights at Work - In the ILO Declaration, member States, regardless of level of economic development, cultural values, or number of ILO Conventions ratified, commit themselves to respect, promote, and realize the following fundamental principles and rights: freedom of association and the effective recognition of the right to collective bargaining; elimination of all forms of forced or compulsory labour; effective abolition of child labour; and, elimination of discrimination in respect of employment and occupation. ILOLEX Database of International Labour Standards - A trilingual database containing ILO Conventions and Recommendations, ratification information, comments of the Committee of Experts and the Committee on Freedom of Association, representations, complaints, interpretations, general surveys, and related documents. International Labor Organisation (ILO) - The ILO was founded in 1919, in the wake of a destructive war, to pursue a vision based on the premise that universal, lasting peace can be established only if it is based upon decent treatment of working people. The ILO became the first specialized agency of the UN in 1946. The ILO is devoted to advancing opportunities for women and men to obtain decent and productive work in conditions of freedom, equity, security and human dignity. Its main aims are to promote rights at work, encourage decent employment opportunities, enhance social protection and strengthen dialogue in handling work-related issues. International Labor Rights Forum (ILRF) - Advocacy organization dedicated to achieving just and humane treatment for workers worldwide. International Trade Union Confederation (ITUC) - The ITUC's primary mission is the promotion and defence of workers' rights and interests, through international cooperation between trade unions, global campaigning and advocacy within the major global institutions. Jewish Labor Committee - An independent secular organization that helps the Jewish community and the trade union movement work together on issues of shared interest and concern. Job Tracker - Unfair trade deals and large tax breaks often encourage corporations to export jobs overseas. Find out what U.S. jobs are going overseas. Jobs with Justice (JwJ) - Founded in 1987 to improve working people's standard of living, fight for job security, and protect workers' right to organize. Just Fight On - UK site discussing bullying, unfair dismissal, equal pay, harassment, forms of discrimination, breach of contract, whistleblowing and other workplace issues. Kate Bronfenbrenner - Co-author and editor of several books on union strategies including Union Organizing in the Public Sector: An Analysis of State and Local Elections, Organizing to Win: New Research on Union Strategies and Ravenswood: The Steelworkers' Victory and the Revival of American Labor. Labor and Employment Relations Association (LERA) - Provides a unique forum where the views of representatives of labor, management, government and academics, advocates and neutrals are welcome. Labor Arts - A virtual museum designed to gather, identify and display examples of the cultural and artistic history of working people and to celebrate the trade union movement's contributions to that history. Labor Day History - The first Monday in September, is a creation of the labor movement and is dedicated to the social and economic achievements of American workers. Labor Educator - Harry Kelber, founder and editor. Publications for labor organizing, including: Why Unions Are Good For You and Your Family, Why Unions Are in Politics, The Making of Ideal Union Leaders, and The Making of Ideal Union Members, and A Training Manual for Union Organizers. Also see Harry Kelber's LaborTalk Columns. Labor Management Relations Act of 1947 - Better known as the Taft–Hartley Act, (80 H.R. 3020, Pub.L. 80–101, 61 Stat. 136, enacted June 23, 1947). United States federal law that restricts the activities and power of labor unions. The act, still effective, was sponsored by Senator Robert A. Taft and Representative Fred A. Hartley, Jr., and became law by overcoming U.S. President Harry S. Truman's veto on June 23, 1947. Labor leaders called it the "slave-labor bill" while President Truman argued that it was a "dangerous intrusion on free speech," and that it would "conflict with important principles of our democratic society." See Wikipedia. Labor Network for Sustainability (LNS) - Believes that workers and environmentalists must be engaged together in order for our society to address the dual deepening crises of both climate and income inequality. Labor Notes - 'Putting the movement back in the labor movement.' News about the labor movement that you won't find anywhere else: news that the mainstream media doesn't find worth printing and news about grassroots labor activity or problems facing the labor movement that top union leaders don't want to print. Labor Research Asssociation (LRA) - A New York City-based non-profit research and advocacy organization that provides research and educational services for trade unions. The Labor Research Association is affiliated with LRA Consulting. Labor Research Asssociation (LRA) Consulting - The leading strategic communications, research, and planning group for unions, benefit funds, and affiliated organizations in North America providing servies from bargaining preparation to first contract campaigns, strategic organizing to member communications, legislative campaigns to public relations. Labor-Management Reporting and Disclosure Act of 1959, as amended (LMRDA) - Compliance assistance from the U.S. Department of Labor. Grants certain rights to union members and protects their interests by promoting democratic procedures within labor organizations. Also the law and the regulations. LaborFest San Francisco - An annual labor cultural festival in commemoration of the July 1934 San Francisco General Strike. LaborNet - A place to publicize struggles and campaigns for workers rights. LaborNET/Australia - The Labor Council's web-project, LaborNET, was first launched in 1996. Today LaborNET is the largest clustering of Australian union information available on the Internet. LabourNet/UK - Shares a common aim of strengthening trade union democracy by using computer technology to provide accurate information and the right to be heard to trade union activists. LABORSTA - View and extract data and metadata from LABORSTA, an International Labour Office database on labour statistics operated by the ILO Department of Statistics. LABORSTA contains statistics for over 200 countries or territories. LaborStart - Online news service maintained by a global network of volunteers serving the international trade union movement by collecting and disseminating information. Labour Research Department (LRD) - Independent, trade union based research organisation. LRD's publications Labour Research, Bargaining Report, Fact Service and LRD Booklets, along with its Enquiry Service provide detailed information for negotiations and campaigns. LabourStart - Where labor trade unionists start their day on the net. Full labor news coverage from independent, labor and mainstream media. Latin America Working Group (LAWG) - A coalition of over sixty religious, human rights, policy, grassroots and development organizations. Since 1983, the coalition has been striving for U.S. policies that promote peace, justice and sustainable development in the region. libcom.org - News, comment and analysis about current events and working-class struggle. Also, istorical texts about class struggle, world events and biographies of key figures and working class revolutionaries. Low Pay Is Not Okay - Fast-food workers have come together to fight for fair wages and the right to form a union without retaliation. Maquila Solidarity Network (MSN) - A Canadian network promoting solidarity with groups in Mexico, Central America, and Asia organizing in maquiladora factories and export processing zones to improve conditions and win a living wage. Making Change at Walmart - Anchored by the United Food & Commercial Workers (UFCW), a coalition of Walmart associates, union members, small business owners, religious leaders, community organizations, women's advocacy groups, multi-ethnic coalitions, elected officials and ordinary citizens who believe that changing Walmart is vital. Too many small businesses have closed their doors due to competition from Walmart. The company is a major contributor to widening gap between the very rich and everyone else. The average full time Walmart 'associate' makes about $15,500 a year. And worse, Walmart is pushing more and more workers toward a permanent part-time status. Marianne Bertrand -Chris P. Dialynas Professor of Economics the University of Chicago Booth School of Business. She is a Research Fellow at the National Bureau of Economic Research, the Center for Economic Policy Research, and the Institute for the Study of Labor. Professor Bertrand is an applied micro-economist whose research covers the fields of labor economics, corporate finance, and development economics. Her research in these areas has been published widely, including numerous research articles in the Quarterly Journal of Economics, the Journal of Political Economy, the American Economic Review, and the Journal of Finance. Mass Layoff Statistics (MLS) - A Bureau of Labor Statistics program that collects reports on mass layoff actions that result in workers being separated from their jobs. Monthly mass layoff numbers are from establishments which have at least 50 initial claims for unemployment insurance (UI) filed against them during a 5-week period. Extended mass layoff numbers (released quarterly) are from a subset of such establishments -those where the employer indicates that 50 or more people were separated from their jobs for at least 31 days. Meal Periods (California) - Regulations in California regarding meal breaks. Minimum Length of Meal Period Required Under State Law For Adult Employees in Private Sector - Information provided by the U.S. Department of Labor. Mondragon - Embodiment of the co-operative movement that began in 1956, the year that witnessed the creation of the first industrial cooperative in Mondragón in the province of Gipuzkoa, Spain. Mooney, Green, Baker & Saindon's Labor Union Page - Since these pages were created a couple of years ago, they have evolved from a simple listing of labor links into a panoply of original articles, commentary and news. Murphy Institute, The - The Joseph A. Murphy Institute for Worker Education and Labor Studies offers higher education programs for working adults and union members, and serves as a resource center to labor, academic, and community leaders seeking a deeper understanding of labor and urban issues. The Institute conducts research, organizes forums and conferences, offers leadership development programs, and publishes a national journal, New Labor Forum. National Association of Women in Construction (NAWIC) - NAWIC is an international association that promotes and supports the advancement and employment of women in the construction industry. National Center for Employee Ownership (NCEO) - A private, nonprofit membership and research organization that serves as the leading source of accurate, unbiased information on employee stock ownership plans (ESOPs), broadly granted employee stock options, and employee participation programs. National Day Laborer Organizing Network (NDLON) - Works to develop leadership and to mobilize and organize day laborers in order to protect and expand their civil, labor and human rights. Fosters safer more humane environments for day laborer, both men and women, to earn a living, contribute to society, and integrate into the community. National Employment Law Project - Promotes policies and programs that create good jobs, strengthen upward mobility, enforce hard-won worker rights, and help unemployed workers regain their economic footing through improved benefits and services. National Labor College - Undergraduate and graduate programs as well as over seventy week-long labor studies programs and conferences in organizing, negotiations, union building and leadership development each year. Electronic Case Information System (ECIS) - Provides two search methods (basic and advanced) to help you locate Unfair Labor Practice (Complaint) and Election (Representation) Case information. General Counsel Memos- General Counsel memoranda are issued to field offices and/or Washington offices to provide policy guidance. Operations-Management Memos - Memoes issued to the field offices from the Division of Operations-Management of the General Counsel's Office in Washington to give direction in case handling matters. Weekly Summary of Decisions - Digest of decisions issued by the Board the previous week, with a short description of the nature and facts of the case and a link to the decision. Also listed are case names and links to decisions by NLRB Administrative Law Judges, and to decisions by Appellate Courts involving NLRB cases. No Sweat - Fighting sweatshop bosses around the world. NORMLEX - An information system which brings together information on International Labour Standards (such as ratification information, reporting requirements, comments of the International Labour Organization's supervisory bodies, etc.) as well as national labour and social security laws. Office of Federal Contract Compliance Programs (OFCCP) - Part of the U.S. Department of Labor's Employment Standards Administration (ESA). Ohara Institute for Social Research (OSIRI) Poster Exhibit - Images of Japanese labor and social movement in post-1945 Japan. 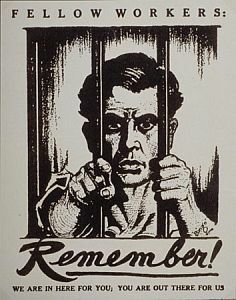 Many of the posters are in the second half of the 1940s and the 1950s when labor unions, legalized for the first time in 1945, engaged in intense struggles with employers and government to win better wages and working conditions. Precarious Workers Brigade - A UK-based group of precarious workers in culture and education. Its political project involves developing tactics, strategies, formats, practices, dispositions, knowledges and tools to put an end to precarity. Pride at Work - Constituency group of AFL-CIO: lesbian, gay, bisexual and transgender labor and their allies. Railway Labor Act - A United States federal law that governs labor relations in the railroad and airline industries. The Act, passed in 1926 and amended in 1934 and 1936, seeks to substitute bargaining, arbitration and mediation for strikes as a means of resolving labor disputes. A Wikipedia backgrounder. Also see 45 U.S. Code Chapter 8: Railway Labor. Raise the Floor Alliance (RTF) - Founded by eight Chicago area worker centers. Worker centers help organize and provide support to communities of low wage workers who are not already members of a collective bargaining organization or have been legally excluded from coverage by U.S. labor laws. RTF achieves its mission by providing research, communications and legal support for efforts to win public and private policy changes that raise the floor for all workers. Raise the Minimum Wage - A project of the National Employment Law Project. Working with state and national advocates and legislators. Committed to rebuilding the wage floor for low-wage workers in the US. Restaurant Opportunities Center (ROC) United - Dedicated to winning improved wages and working conditions for restaurant workers thoughout the U.S.
Royal Commission into Trade Union Governance and Corruption Final Report - The commission's aims are reactionary and hypocritical. While denouncing trade union officials for "corruption" and "selling out their members," the Liberal-National Coalition government of Malcolm Turnbull, the media and industry groups have used the report to demand a sweeping transformation in Australian industrial relations, and an unprecedented attack on workers' conditions. That being said, the contents of the report itself show that the unions have absolutely nothing to do with defending workers' conditions. The Commission report's case studies—based on hundreds of pages of submissions and testimonials during 155 days of public hearings—reveal the unions' real day-to-day activities as labour management businesses, hostile to the interests of the workers they falsely claim to represent. Not a single incident discussed in the report refers to an action by any union official to defend workers' conditions. Instead, union bureaucrats and corporate managers conspire daily to tear them up. To the extent that conflicts emerge between the unions and corporations, they centre on which business entity will obtain a greater share of the profits extracted from the workers' labour. See WSWS series on the report. Secrets of a Successful Organizer - This book will show you how to fight back where you work and win. You'll learn how to identify the key issues in your workplace, build campaigns to tackle them, anticipate management's tricks and traps, and inspire your co-workers to stand together despite their fears. It's a step-by-step guide to building power on the job. From Labor Notes. Also free handouts provided here. Shaun 'Jack' Maloney: A Working-Class Hero - "From the time he was a teenager to his dying days, Shaun Maloney was an uncompromising fighter for and of the working class. He was forever confident in the power of the working class-the polar opposite of the current trade-union leadership in this country. In the words of John Lennon, he was 'a working class hero,' which 'is something to be.' The best tribute to Shaun Maloney is not to mourn, but to organize and help build a society that eliminates the exploitation of the working class." Silicon Valley Rising - Working for a tech economy that provides for everyone by raising wages, creating affordable housing, and growing the middle-class. Social Development Agency (SDA) - SDA works closely with the ETUC and is supported by the ITUC, several European Industry Federations, various national trade union confederations and union institutes for training and research. Solidarity Center - Promoting worker rights worldwide. Solutions for Progress - Provides grassroots organizations, unions, government and selected other clients assistance with health care policy, long-term care policy, economic development issues, and trade union concerns. South West NHS FightBack - Socialist Equality Party initiative calling on on hospital workers to reject the attempt by the consortium of hospitals in South West England to cut wages and conditions. State Building & Construction Trades Council of California (SBCTC) - Works to protect and strengthen collective bargaining as a means of securing and improving the wages, hours of labor and other conditions of employment for the members of its affiliates. Students and Scholars Against Corporate Misbehavior (SACOM) - Devoted to improving the labor conditions of cleaning workers and security guards under the outsourcing policy. SACOM teams up with labor NGOs to provide in-factory training to workers in South China. Through democratic elections, it supports worker-based committees that can represent the voices of the majority of workers. SWEAT Labor Magazine - Independent labor news and opinion put together by a crew of volunteer union activist throughout North America. Taft-Hartley Act (1947) - Full text of the United States federal law that monitors the activities and power of labor unions. The Act, still effective, was sponsored by Senator Robert Taft and Representative Fred A. Hartley, Jr. and legislated by overriding U.S. President Harry S. Truman's veto on June 23, 1947; labor leaders called it the "slave-labor bill" while President Truman argued it would "conflict with important principles of our democratic society," though he would subsequently use it twelve times during his presidency. The amendments enacted in Taft-Hartley added a list of prohibited actions, or "unfair labor practices", on the part of unions to the NLRB, which had previously only prohibited "unfair labor practices" committed by employers. The Taft-Hartley Act prohibited jurisdictional strikes, wildcat strikes, solidarity or political strikes, secondary boycotts, secondary or "common situs" picketing, closed shops, and monetary donations by unions to federal political campaigns. It also required union officers to sign non-communist affidavits with the government. Union shops were heavily restricted, and states were allowed to pass "right-to-work laws" that outlawed union shops. Furthermore, the executive branch of the Federal government could obtain legal strikebreaking injunctions if an impending or current strike "imperiled the national health or safety," a test that has been interpreted broadly by the courts. See Wikipedia. Taft-Hartley Act of 1947 (US Code provided by LII) - Also cited as Labor Management Relations Act (LMRA), 29 U.S.C. Sec. 141-197. [Title 29, Chapter 7, United States Code]. Tradeswomen, Inc. - A non-profit grass roots organization whose purpose is to promote and support women in non-traditional blue collar jobs. Transport Workers Solidarity Committee - Coalition of rank and file transport workers engaging in various solidarity actions. U.S. Equal Employment Opportunity Commission (EEOC) - The EEOC coordinates all federal equal employment opportunity regulations, practices, and policies. U.S. Federation of Worker Cooperatives (USFWC) - A national grassroots membership organization of and for worker cooperatives, other democratic workplaces, and the organizations that support the growth and continued development of worker cooperatives. U.S. Labor Against the War (USLAW) - Advocates a just foreign policy that will bring genuine security and prsoperity to working people - a policy that strengthens international treaties, supports human rights institutions, respects national sovereignty and upholds the right of self-determination for all peoples and an end to U.S. occupation of foreign countries, replaced by the reconstruction of war-devastated nations with the full support of the international community and the full participation and decision-making power of affected peoples. Union Communication Services - Publishes and distributes steward advice, labor news, graphics and books that help progressive union leaders rally their members and build their unions. More than 2,000 unions across the U.S. and Canada use one or more of its highly-praised services every month. Union Label and Service Trades Department, AFL-CIO - Founded in 1909 to promote the products and services produced in America by union members - especially those products and services identified by a union label, shop card, store card and service button. Union Plus - The AFL-CIO created Union Privilege provides union resources and benefits for union members. Union Plus - Provides union members and their families with valuable consumer benefits. Union Resources Network (URN) - Organized by the Communications Workers of America (CWA), the URN is the one of the most complete indexes of Union Websites on the Internet. The URN also provides union made websites, hosting, and solidarity services. Approximately 10% of all union websites in the world are hosted on the URN server. Union Solidarity International (USi) - Supported by major UK and Irish trade unions that aim to build grassroots international union solidarity using the latest technology. Links trade union activists from around the world directly with each other so they can create and lead campaigns for a fairer and more sustainable world. UNITE - Union of Needletrades, Industrial and Textile Employees: working on issues like Social Security, trade and overtime laws, sweatshops. United Professionals (UP) - A nonprofit, nonpartisan membership organization for white collar workers, regardless of profession or employment status. We reach out to all unemployed, underemployed and anxiously employed workers -- people who bought the American dream that education and credentials could lead to a secure middle class life, but now find their lives disrupted by forces beyond their control. Unitrabalho - Unitrabalho is a network that joins 84 universities and Institutions of higher education in Brazil. It carries out studies, researches and projects on the world of labour, always in association with entities that have the same concern, be they labour unions or social organisations, government agencies, non-government organisations and national or international entities. Vermont Workers' Center - A democratic, member-run organization dedicated to organizing for workers' rights and living wages for all Vermonters. Voluntary Employee Beneficiary Association (VEBA) 501(c)(9) - A voluntary employees' beneficiary association (VEBA) under Internal Revenue Code section 501(c)(9) is an organization organized to pay life, sick, accident, and similar benefits to members or their dependents, or designated beneficiaries if no part of the net earnings of the association inures to the benefit of any private shareholder or individual. Wage Determinations OnLine Program - Provides a single location for federal contracting officers to use in obtaining appropriate Service Contract Act (SCA) and Davis-Bacon Act (DBA) wage determinations (WDs) for each official contract action. Warehouse Workers United - Committed to improving the quality of life and jobs for warehouse workers in Southern California's Inland Empire. William B. Gould IV - A prolific scholar of labor and discrimination law, William B. Gould IV has been an influential voice on worker-management relations for more than forty years. He is the Charles A. Beardsley Professor of Law, Emeritus at Stanford Law School. Professor Gould has been a member of the National Academy of Arbitrators since 1970 and has arbitrated and mediated more than 300 labor disputes. Worker Institute, The - Based at Cornel University's ILR School. A broad forum for research and education on contemporary labor issues. Worker Rights Consortium - An independent labor rights monitoring organization, conducting investigations of working conditions in factories around the globe. Its purpose is to combat sweatshops and protect the rights of workers who make apparel and other products. Worker-Participation.eu - Provides information to what is happening at the European level in the field of employees' rights to information, consultation and board-level representation (participation). Workers Advice Center (WAC-MAAN) - Only a third of the three million workers in Israel are unionized. Of the rest, thousands will find in WAC support, advice, legal protection and aid in organizing. Workers Rising - Workers across New York organizing to win decent wages, respect on the job and an increased minimum wage that benefits everyone. Working America - An AFL-CIO union-sponsored site working to stop jobs outsourcing and to make the richest 2% pay their fair share. Working Washington - A coalition of individuals, neighborhood associations, immigrant groups, civil rights organizations, people of faith, and labor united for good jobs and a fair economy. Working World, The - A non-profit organization that provides investment capital and technical support for worker cooperatives using an innovative finance model. World Trade Unions - Listing of trade unions. Wirtz Labor Library - The Department of Labor Library, established in 1917 and recently dedicated as the Wirtz Labor Library, is one of the oldest Cabinet-level libraries. The Library's role as information repository and access point is central in supporting the day-to-day regulatory, monitoring and analytical work of the Department. Worker Adjustment and Retraining Notification Act (WARN) - Protects workers, their families, and communities by requiring most employers with 100 or more employees to provide notification 60 calendar days in advance of plant closings and mass layoffs. Also see Fact Sheet, Worker's Guide and Employer's Guide. Women's Labor Resources - Compilation of women's labor resources links compiled by the American Federation of State, County and Municipal Employees (AFSCME). Worker Rights Consortium, The (WRC) - A non-profit organization that supports and verifies licensee compliance with production codes of conduct. These codes of conduct have been developed by colleges and universities across the country to ensure that goods are produced under conditions that respect the basic rights of workers. Worthy Wage Campaign - A broad-based, mobilization of teachers, providers, directors, parents, and allies of all kinds, calling for a major investment of public funds directly targeted to improving child care jobs. WWW Virtual Library of Labour History - A directory. WWW Virtual Library of U.S. Labor History - A directory. "You Got Mail But Your Employer Does Too" - An article from the Journal of Technology and Law Policy concerning issues surrounding electronic comunication in the workplace. This webpage last updated on Monday, January 21, 2019 1:20 PM.